The Church of Aghia Barbara or Saint Barbara, which is celebrated in modern Cretan literature, was one of the many churches I visited during my stroll through Rethymnon yesterday evening [10 June 2018]. 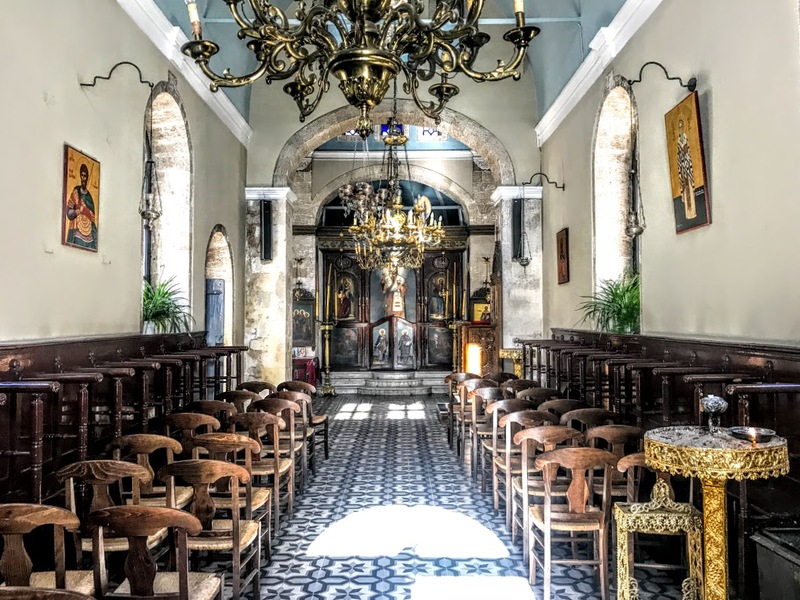 The church is halfway along Aghia Barbara Street, just a hundred metres from the metropolis or cathedral in the centre of Rethymnon. The church was built in 1885 to replace and earlier Latin church of the same name, dating from at least 1613. This older church, in turn, may have taken its name from Saint Barbara’s Monastery, which once stood at the end of Arkadiou Street, on a site that later made way for the Kara Musa Pasha Mosque. However, local lore says that a church dedicated to Saint Barbara had stood on this site from Roman times, and a church dedicated to Saint Barbara appears on this site in Venetian maps in 1613. 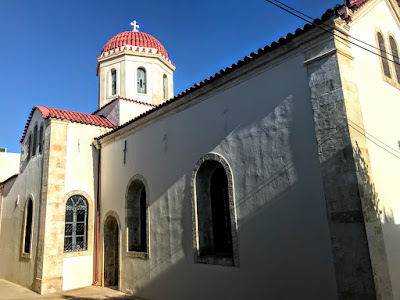 A rich Turk, Ali Tsitseaki, bought the church in 1833, with plans to destroy it and to replace it with shops and houses as well as bath house. However, local Christians were and angered by his plans. They protested and bought back the church for a price of 500 francs. Once, during the Turkish era in Rethymnon, there was a sudden outbreak of plague in the town one day. It said the Christians of the town processed through Rethymnon with an icon of Saint Barbara as they prayed for an end to the plague. The story continues that when local Muslim residents say the procession, they too joined in and began to donate oil and precious gifts in honour of Saint Barbara. From that day, the plague ceased for both Christians and Muslims in the town. 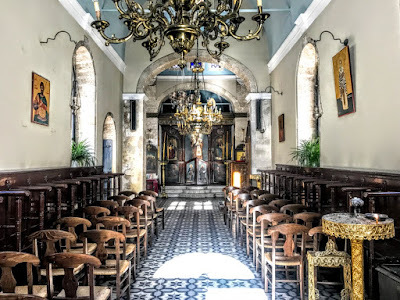 After the massacre at Arkadi in 1866, many churches, shops and buildings in Rethymnon were destroyed, but Saint Barbara’s Church survived. 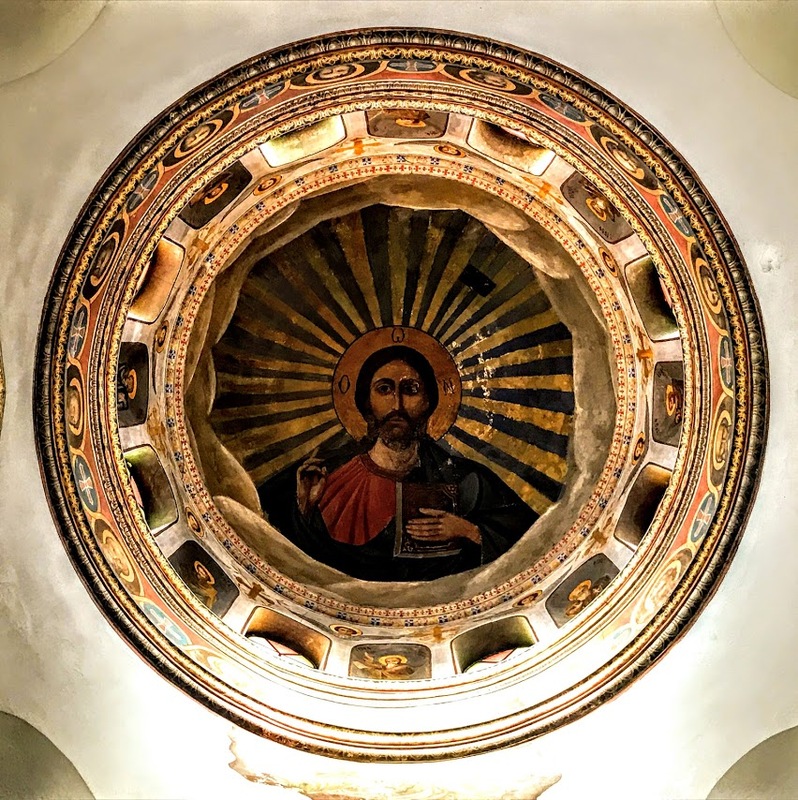 The church was renovated, rebuilt, and decorated with icons, and the refurbished building was dedicated once again on 14 December 1885. A new icon of Saint Barbara was written by A Vevelaki, and the dome was painted by Bishop Ierotheos Praoudakis or Bragoudakis of Rethymnon (1882-1896) after he had fasted for two weeks. 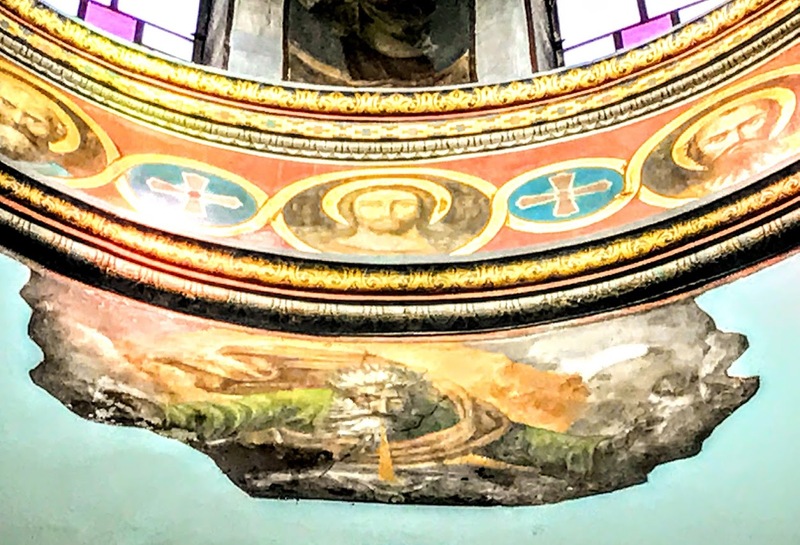 The story of the painting of the church walls appears as an incident in A Tale of the Town by Pandelis Prevelakis, the most celebrated writer born in Rethymnon. Aghia Barbara is unusual for its cruciform shape. It has a dome and two transepts but has no belfry or bellcote. From 1898 until 1907, the church was used as the garrison church for the Russian troops in the town. In return, the Russians built the bell tower beside the neighbouring cathedral in 1899. The bell tower has seven bells; the biggest bell has the name of the Russian governor and commander, Theodor de Chiostak, and the other six have the names of six Russian regiments. Behind the church, the former Girls’ School stands on the same grounds and has long been the town library.